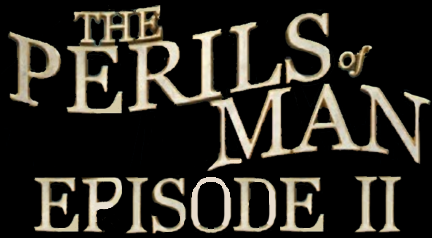 The Perils of Man concludes in a very satisfying manner, presenting a fantastic conclusion that caps off this fantastic adventure wonderfully. This episode continues immediately after the last left off, with Ana finally having found her father. Their reunion isn't what she hoped, and she is soon thrust into a situation that is much more perilous than anything that she's experienced up to that point. The story really gets interesting in this episode, and the finale is fantastic. It closes Ana's journey quite well, while still leaving room open for a sequel. The story isn't the only thing that's wonderful in this episode. The puzzles in the first episode were a great throwback to classic adventures of the past, with a dash of Autumn Moon's style thrown in via the interface. This tradition continues in force, as this episode has some of the best puzzles in the entire game. The third person perspective puzzles via the risk assessment goggles are also put to great use here. That aspect of the game really sets this adventure apart from it's peers. It's true that it's merely a gimmick for the risk based game play that was included in the story as it was partially funded through the insurance company, Swiss Re, but it's a gimmick that really works well. The fantastic art style continues to shine. The new locations that Ana visits are all quite excellent. The voice work is also top notch in this episode. This has been true for all of the game, minus the voice of Ana's mother, who only appears in a major role in the first chapter of the game. The rest of the voices are quite good, and the voices of Ana's other relatives are particularly well done. It's great to get a chance to see Ana finally get to have some contact with her family outside of her mother, as she's been made into a shut in due to her mother's paranoia over her husband's disappearance. These interactions are quite well portrayed, and the voice excellent work of both Ana and the other Eberlings is a large part of that. The musical score also continues to shine here, complimenting the story and voice work superbly. The Perils of Man Episode Two ends the saga on a high note. The game has always been advertised as a return to the classic adventure games that the designers Bill Tiller and Gene Mocsy are known for, and it succeeds. The puzzles in this game are among the best I've played in the post-LucasArts era of adventure games. The third person risk assessment puzzles are quite unique, work well, and add to the game's charm. The presentation of the game helps cap off the rest of this great adventure is a fantastic way. The art style is charming, the voice acting is supurb, the story is great, and the music frames the game excellently. The Perils of Man is a game that is worth playing for anyone that considers themselves a fan of classic point and click adventure games.